I purchased the same edition of this book, with a slipcase. It cost me alot more than 8 dollars, more like one hundred dollars!! Just wondering if I was totally ripped off! Bought it in a rare book shop in Dublin. 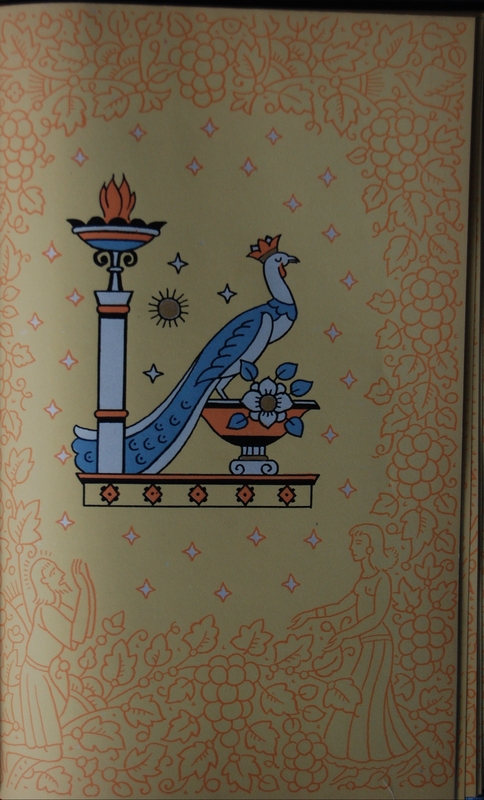 It is a beautiful book, thought it would be a nice little investment. How do I find out if it is genuine? 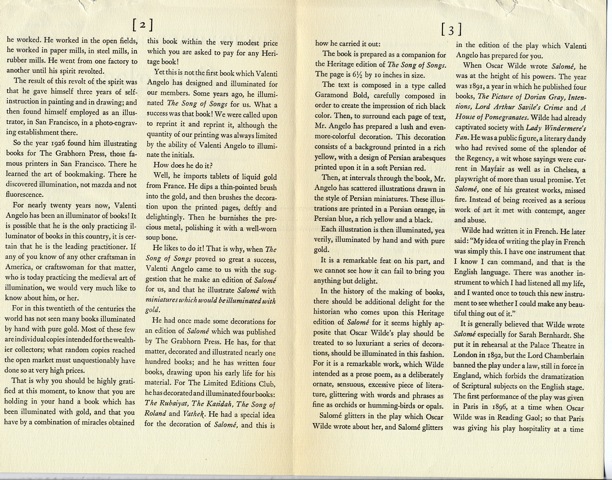 Well, the question “if it is genuine” is easily answered–if it says Heritage Press, 1945, is illuminated and illustrated by Valenti Angelo, and is printed in the “French-fold” manner, then it is genuine. Was she ripped off? Unless it had a signature or provenance that would increase the value, I would say that she paid close to the upper pricing of this book, which shows a wild range of prices online–from $175 to about $3 (over seven of the 120+ books online sell for $100 or more). My copy is in what I would call Near Fine condition, did not come with a Sandglass, and if I remember, cost me less that $5–that would have been about 20 years ago. 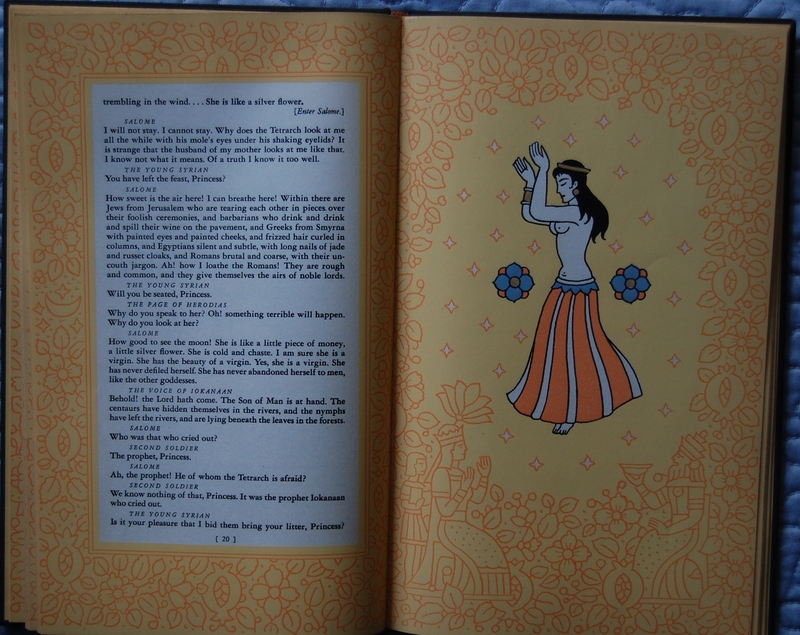 For what she paid, it should be in Very Fine condition with matching slipcase and the Sandglass. Still it is a very lovely book, and shockingly undervalued by most booksellers. I hope that helps you answer your question. I have this checked from my library. Copyright 1945. 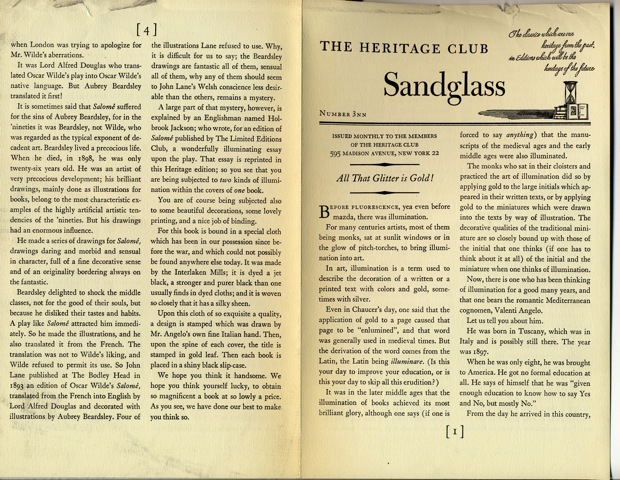 Heritage Press. Valenti Angelo. French Fold. How can I find a copy to purchase? Sorry it took a while to reply. My best suggestion is to hit your local used book shops (particularly ones that carry older, hardcover books like these), or to look it up on ABEBooks or Alibris. Best of luck! 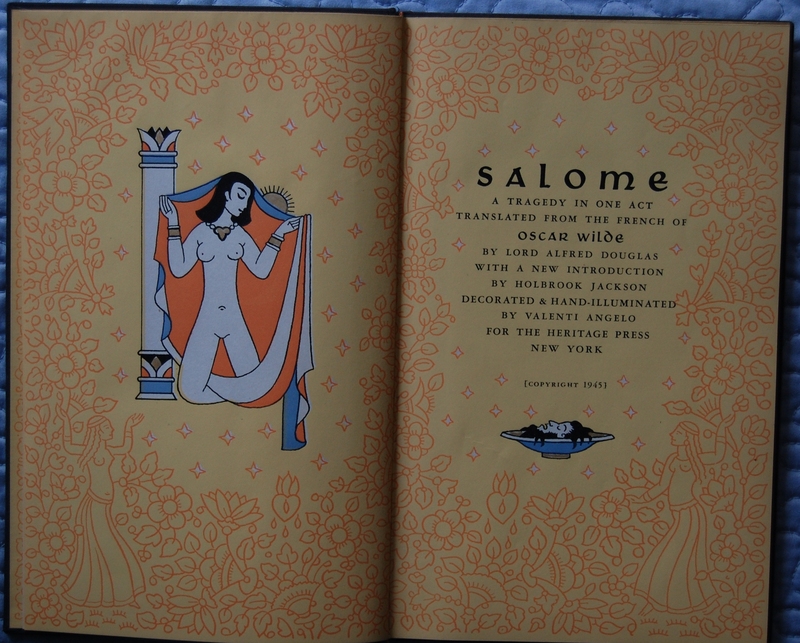 You are currently reading Heritage Press: Salome by Oscar Wilde (1945) at The George Macy Imagery.